It was an honor to be interviewed by Jill Vitiello of Vitiello Communication Group and featured in her #WonderWomen series. Jill has used her blog to highlight the work of businesswomen doing remarkable work – and we’re grateful for her recent feature on Patricia Lannes and CALTA21! Wonder Women is a blog series that lets me introduce you to amazing businesswomen doing remarkable work. 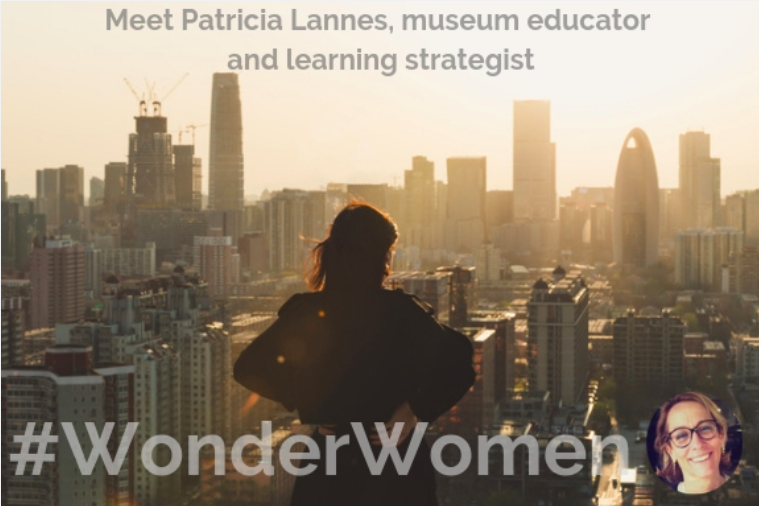 Meet Patricia Lannes, Founder and Director of CALTA21, which stands for Cultures and Literacies Through Art for the 21st Century. CALTA21 is a model initiative program where art and literacy education converge in museum and classroom settings to strengthen English language skills and voice. Patricia developed the model that trains museum educators, public school teachers and community-based educators to use art in museums to instruct their students in English language skills. Through her work with CALTA21, Patricia was nominated to be recognized at the White House as a Champion of Change, an award for Americans with innovative ideas who are making a difference in their communities. Patricia says, “I get to see the effects of training teachers to feel comfortable with art, and to help students decode its messages. If you think about technology and where the 21st century is going, it’s all visual. You open your phone and you are bombarded with images. Learning to express what those images mean opens a world of culture and literacy and language skills.” Find out what an arts educator can teach you. Q: When did you first realize you were doing your life’s work? Check out the full interview here! And visit the Vitiello Communication Group’s blog to see more #WonderWoman stories.